Prepared by skilled hands of a Vietnamese chef. ENJOY fresh herb-infused Vietnamese dishes at Pullman Kuala Lumpur Bangsar’s Link All Day Dining restaurant until Sunday. Guest chef Viet Ang Nguyen was flew in from Vietnam to head the 10-day buffet promotion. The Vietnamese dishes savoured had generous helpings of fresh vegetables and herbs. The modern setting at the Link, Pullman Kuala Lumpur Bangsar. Pullman Kuala Lumpur Bangsar Marketing and Communications manager Lai Yen Yen said the promotion would consist of popular Vietnamese appetisers, salads and main dishes. “Each buffet spread consists of five main dishes catered to suit the local palate,” she said. 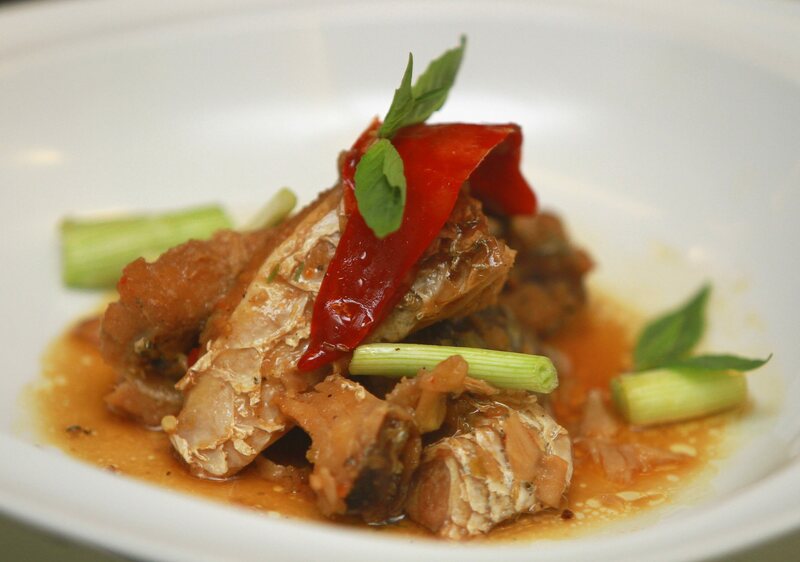 Among the main dishes to look out for is the Vietnamese Sweet and Sour Fish (top pic), which is popular in the central and southern region of Vietnam. Nguyen from Vietnam is heading the 10- day buffet food promotion. Red mullet or red snapper were used for the dish cooked with the sweet and sour sauce. The dish has a sticky caramelised feel and fish lovers will enjoy it. Lotus seeds are another common ingredient in Vietnamese dishes. Nguyen’s Braised Chicken with Lotus Seed is a non-spicy dish from Hanoi which had a generous portion of lotus seeds. Vietnamese food is rarely spicy but Nguyen’s Squid with Lemon Grass and Chilli provides customers a peek into some of the country’s spicy dishes. This dish tasted more like our local squid sambal minus the gravy. Nevertheless, it tasted just as good as most of our local spicy dishes and the smell of lemongrass gave it a nice aroma and taste. Pair these main dishes with the Vietnamese Beef Fried Rice, which is served at the buffet. Lai said Cold Spring Rolls are a popular street food which originated from the Southern region. Fried spring roll and (right Vietnamese pancake. 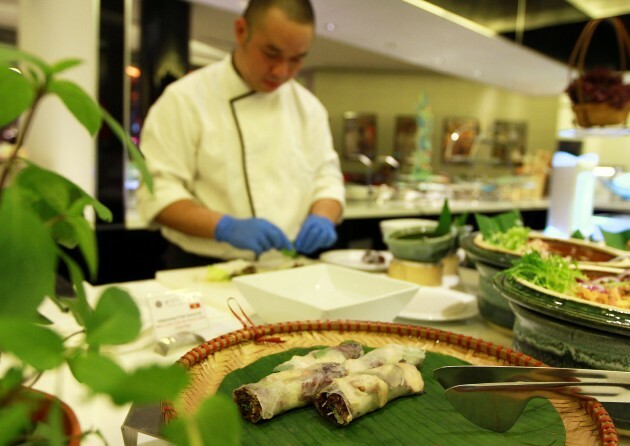 At the food promotion, the public can enjoy both the cold and fried spring rolls. 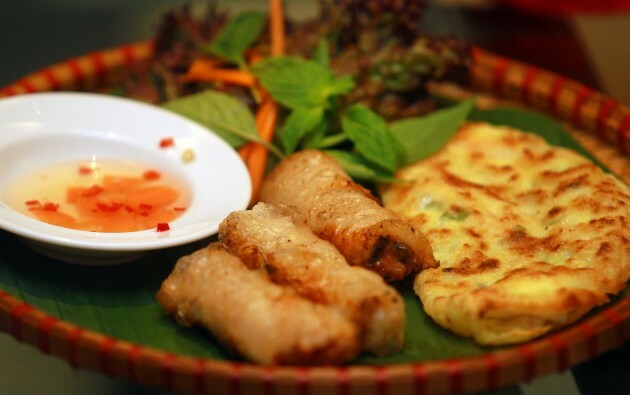 “The rice wrap used in this dish is specially imported from a village in Vietnam. This is to lend an authentic touch to the dish,” said Lai. The rolls comprise steamed prawns and vege and it is best eaten with the chef’s special light chilli sauce. Ban Xeo, or better known as Vietnamese pancake, is different from the Western ones. The dish was named after the loud sizzling sound produced when the pancake batter touches the hot pan. It is stuffed with a generous portion of shrimp and vegetables such as bean sprouts and carrots. Malaysians love their desserts and with that in mind, the chef has prepared the Vietnamese Drip Coffee Cake. “The Vietnamese are known for their coffee drinking culture and to showcase this, the chef prepared the aromatic Drip Coffee Cake,” said Lai. 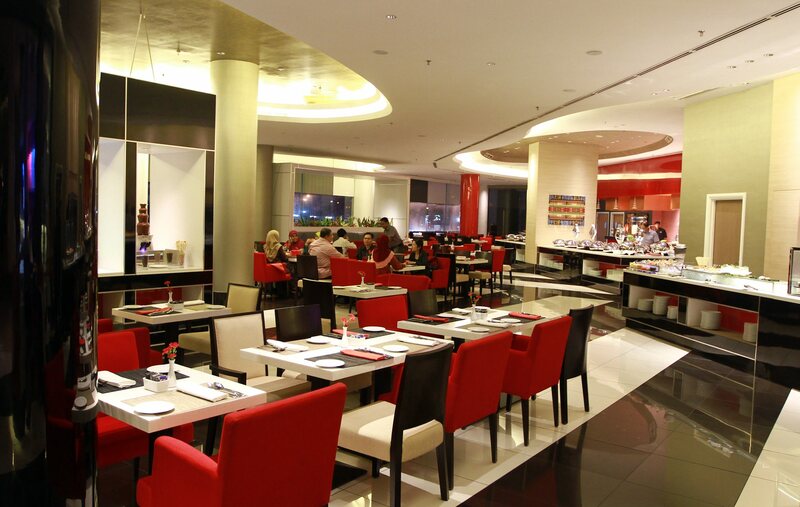 The buffet will also have other Asian and Western dishes. On Friday and Saturday, the buffet is priced at RM115 nett and on other days, RM90 nett.